#10 Dwayne Bowe = Time to get off the loss train in KC. Unfortunately against my chargers weak secondary Bowe will come out against them. #9 Wes Welker = He is going against his former team. Time for a statement game. #8 Antonio Brown = CLE has a great DEF but Brown has been finding holes weekly. 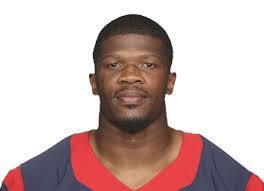 #7 Demarious Thomas = He is getting more looks than usual now expect him to get the value back that he deserves. Getting into the end zone more often then not lately. #6 Vincent Jackson = Time to rock the secondary. V-JAX is the go to man there and is putting up constant numbers averaging about 14 a week in .5 PPR leagues. #6 Victor Cruz = time to put the Giants on Cruz control because without him they have no chance. #4 Dez Bryant = Going against the Giants and off a bad beat and a bye week they need to do well and Dez is going to flourish. #2 Calvin Johnson = Even on Revis Island he will be a top WR this week. He has talent and you can’t stick to him at all times. Calvin is a beast and everyone knows it. Some people can’t be stopped just stalled. Should the NHL Expand to 32 Teams?